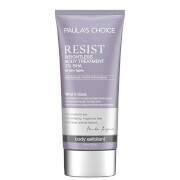 Banish dullness with this fabulous exfoliator. Containing natural pumice beads, the grainy texture lifts dead surface skin cells leaving skin looking brighter and refreshed. With a special blend of exfoliating particles, this gentle facial cleanser helps remove dead skin cells and refines pores, leaving skin soft, smooth and glowing with health. 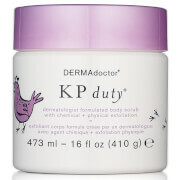 Sweeps away dead skin cells and impurities. Banishes dullness and brightens skin. Aqua (Water), Isononyl Isononanoate, Cetearyl Alcohol, Isostearyl Isostearate, Glycerin, Steareth-21, Steareth-2, Hydrated Silica, Phenoxyethanol, Tocopheryl Acetate, Rosa Moschata Seed Oil, Carbomer, Synthetic Wax, Pumice, Methylparaben, Parfum (Fragrance), Sodium PCA, Potassium Hydroxide, Ethylparaben, Ascorbyl Glucoside, Tetrasodium EDTA, Magnesium PCA, Dipropylene Glycol, Zinc PCA, Biosaccharide Gum-1, Manganese PCA, Potassium Sorbate, Ascorbyl Palmitate, CI 73360 (Red 30), CI 77891 (Titanium Dioxide). I really like this product. 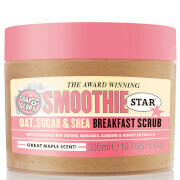 In fact I use it every night to really deep clean and get all traces of makeup off and it doesn't dry my skin. I cannot seem to find it at Target anymore so looking for it now online.